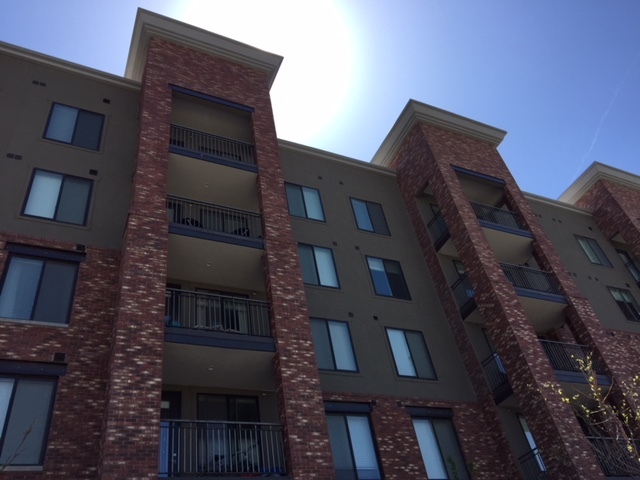 2017 Most Outstanding Multi-Family Project Award – Canyons Structural, Inc.
Our team was fortunate to have worked with Architecture Belgique on a two beautiful projects in the Salt Lake area which won awards for the outstanding design team. This design has over 493 living units, with a six-story parking structure surrounded by a wrap-style apartment design. The top story is a ‘Sky Lounge’, which features an Olympic-sized pool, heated spa, sundeck, 30 foot long fire pit, and a full-size tennis and basketball court. This level also boasts a 4000 sq. ft. clubhouse with a catering kitchen and a 3500 sq. ft. fitness center, and 1600 sq. ft. yoga studio. Other amenities on the property include a Sports Club, a bike shop, a dog park, and a business center with meeting space.